Filter coffee is back and the Joe Frex station is the perfect companion for all fans of brewed coffee! The station is a revolutionary brewing station for filter coffee holders. 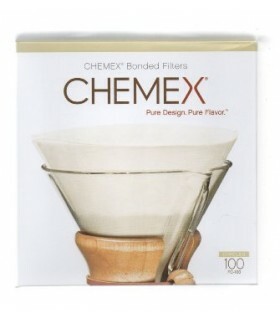 It fits for almost all known filter holders such as Melitta ®, Hario ®, Tiamo ®, Clever Dripper ®, Cilio ® and many other popular models. Also, the famous Aeropress coffeemaker fits perfectly in the brewing station. Another special feature regards the Clever Dripper: the start-stop function of the Clever Dripper is supported by the Station, so you can use it and brew up to 4 cups of quality coffee with a single brewing. 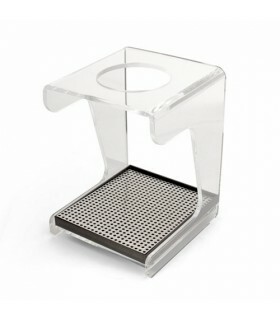 The brewing station is the optimum support for the preparation of filter coffee. 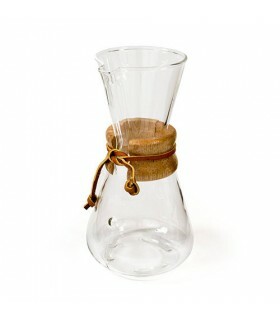 It fits perfectly with Melitta filter holder, Hario, Clever Dripper, Aeropress and many other filter holders. 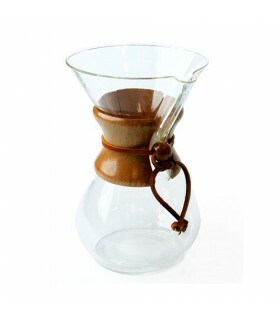 With the Ubrew brewing station the preparation of brewed coffee is now much easier and more stylish. The advantages of theJoe Frex Fds station are obvious. 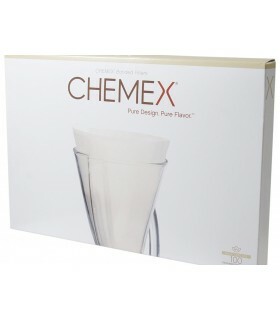 When brewing, you are able to see the level of the final cup and thus, an overflowing cup is not a problem anymore. Another big advantage is the clarity of the Ubrew brewing station. You are always in control of the whole process and with enough working space when you need to adjust the process. The popular Aeropress Coffeemaker works very well with the station. In fact, the AeroPress is ideal for extracting coffee in the Bruhstation. When using Aeropress in the usual way and pressing into a cup, there is a great chance of small accidents as there is no secure and firm binding between the cup and the Aeropress. The station solves this problem with a very simple and effective way - it just slides and locks in the station, so you don’t have to worry about scalding and mess in your preparation area. Besides all that, the Aeropress and Ubrew connection is particularly aesthetic: It is wonderful to watch how the freshly brewed coffee from the Aeropress drips into the cup. Adding to all the above, do not forget that the Joe Frex station is also suitable for many other common, porcelain, metal and plastic filter holders. 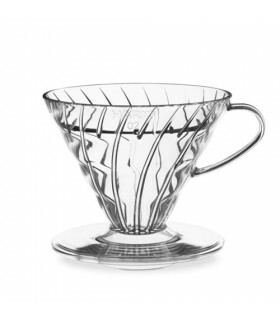 It's time to make drip coffee brewing a worthwhile experience: Try the stainless steel Concept Art "Joe Frex" Bruhstation!